A few weeks ago, we participated in the Elmer’s Bag It Forward (#BagItForward) Campaign and made a surprise teacher goodie bag! The Bag It Forward movement is great, but Elmer’s also has some other programs as well! Like, did you know that Elmer’s is a Upromise part­ner? So, every time you pur­chase an Elmer’s or Krazy Glue prod­uct with your reg­is­tered drug or gro­cery card, a per­cent­age of your pur­chase will be put into your Upromise account. More infor­ma­tion can be found here — http://www.elmers.com/about/special-offers. And, Elmer’s also has the Glue Crew Recycling Program!! 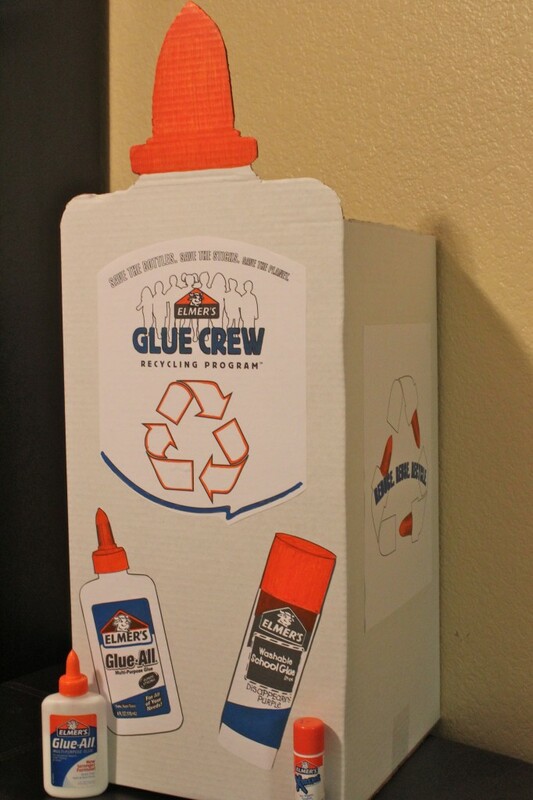 Through Elmer’s Glue Crew Program, schools & classrooms can collect all of their empty glue bottles & glue stick containers and then turn them into Walmart on Earth Day to be recycled! A great way to help the planet and teach kids about recycling! For full details on how the program works, please visit: http://www.elmersgluecrew.com/how.aspx. Big Brother just started a little preschool program and we all know that preschoolers go through LOTS of glue! 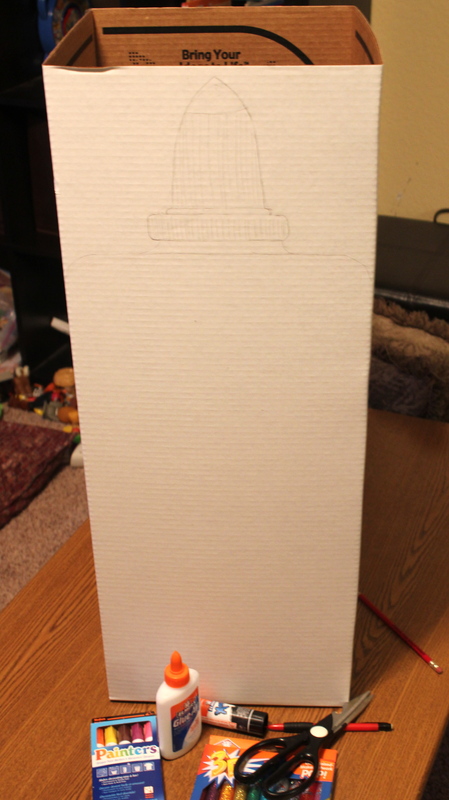 So, we made a Glue Crew box for his school! We stopped in to Walmart to pick up some supplies, namely an Elmer’s Tri-fold Display Board. You can see our whole shopping experience here on thisMoment! Think your local school may want to join Elmer’s Glue Crew Recycling Program? It’s easy! 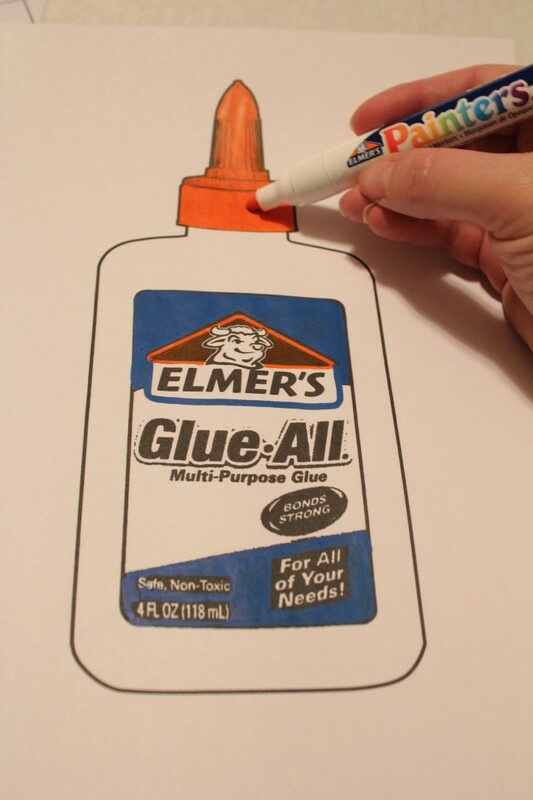 Just start saving empty Elmer’s glue bottles and sticks in a box (it can be as creative or simple as you like!)! Then, go to http://www.elmersgluecrew.com/ for full information about the program, ideas & tips, and even contests & prizes!!! Disclosure: This project has been compensated as part of a social shopper insights study for Elmer’s #BagItForward #collectivebias. As always, all opinions & experiences are entirely my own! Another fantastic program from Elmer’s! The more I learn about Elmer’s the more I like them! I love how your collection box turned out! That looks amazing! Great job! So cute!! I bet Big Brother was excited to have this for his school!! 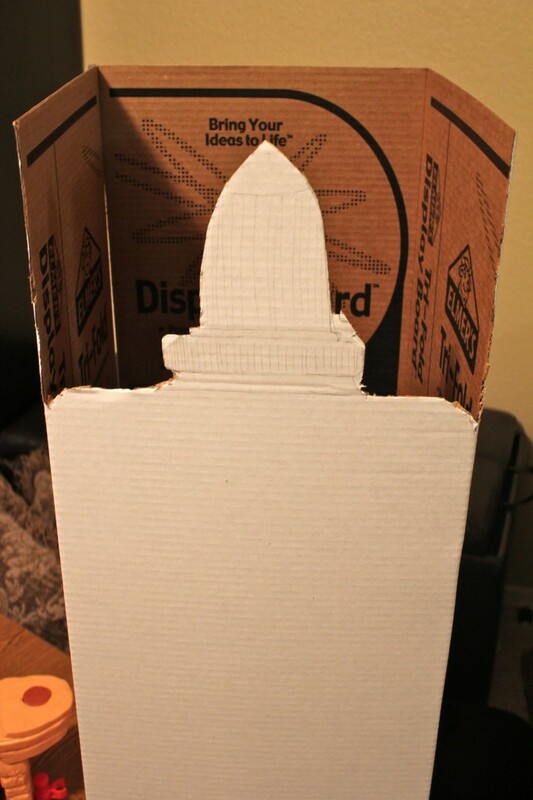 I love the glue bottle-shaped box!